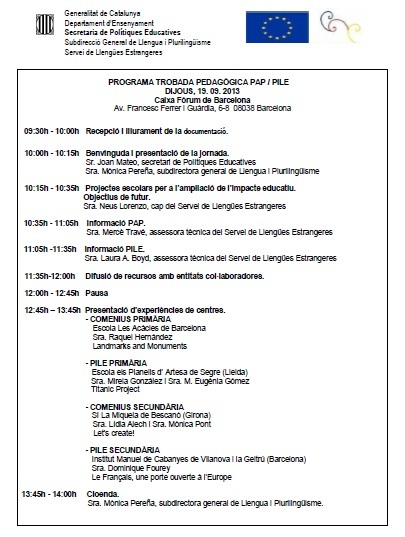 The department of Education in Catalonia has organised a pedagogical session to talk about language and European projects. Our school has been invited to present our project 'Landmarks and Monuments'. This is the programme of the session.